This comprehensive report compiles state-by-state research and actionable insights. It begins with a summary of national giving data, followed by an overview of the Northwest philanthropic landscape. The final section of the report focuses on one particular trend in each state, how it will shape giving in the coming years, and what nonprofit leaders can do today to prepare for changes ahead. 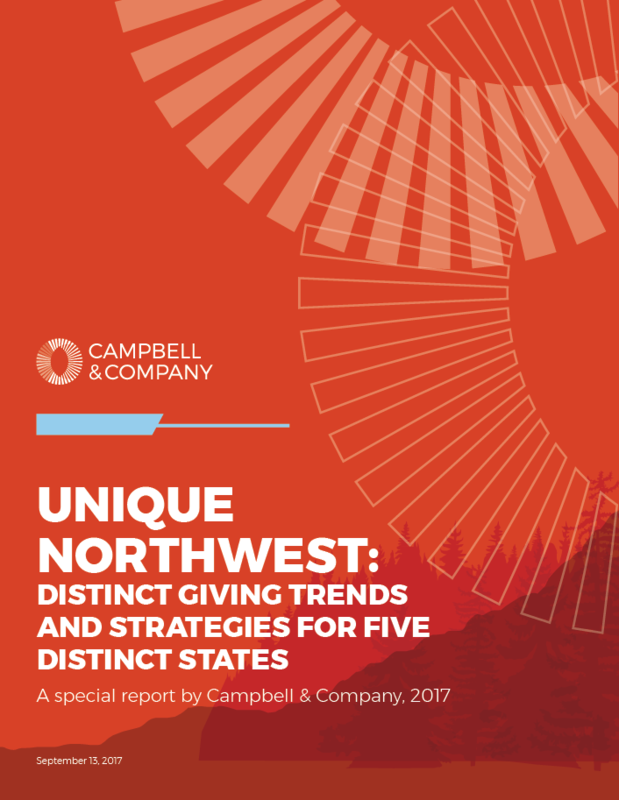 Download our Northwest giving trends report for in-depth analysis and expert recommendations. For additional commentary and advice, watch our webinar on this topic or contact me to discuss the report findings. Through our on-the-ground Northwest team, Campbell & Company is fully immersed in the region’s philanthropic landscape, and we will continue to follow the giving trends that affect our nonprofit partners. Andi Price is an Associate Consultant at Campbell & Company. She brings a disciplined approach to project management and strategy, along with an innate ability to deeply connect with her clients’ work.